And you may have raised an eyebrow, emitted a scoff, or otherwise emoted your disbelief that this moderate-sized Midwestern city could really be that cool. But here's the thing: Cleveland really DOES rock, and has a lot more going for it than many travelers realize. 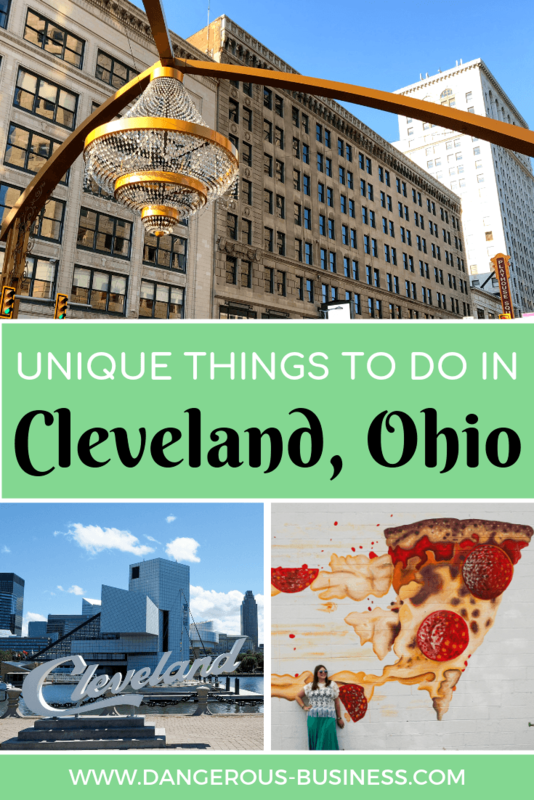 To prove this to you, I'm going to tell you about some of the unique, interesting, and downright weird things you can see and do here in Cleveland, Ohio. Some are on the well-trodden tourist trail, while others are decidedly not. But they all will (hopefully) convince you that Cleveland is cooler than you originally thought. 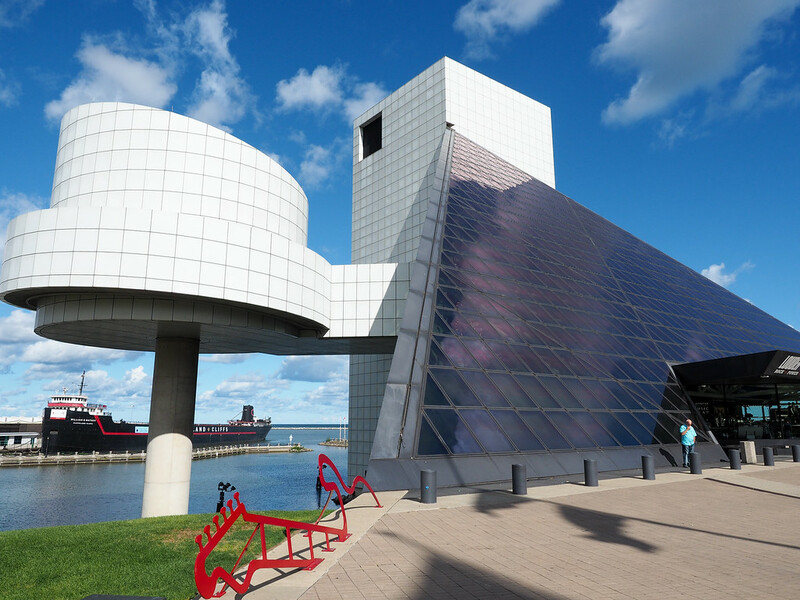 The Rock and Roll Hall of Fame appears on just about every “things to do in Cleveland” list – but it's still super unique as one of the top museums of its kind in the world. Back in 1954, disc jockey Alan Freed coined the term “rock and roll” while working for a Cleveland radio station, and was one of the first to begin heavily promoting the new genre of music. It was largely because of this that the Rock Hall is now located in Cleveland. Along with being an excellent museum covering rock music along with all its influences and off-shoots, the museum building itself is also unique, having been designed by I.M. Pei. >> Get Rock Hall tickets here. Over in Cleveland's Ohio City neighborhood (one of my favorite neighborhoods in the city! 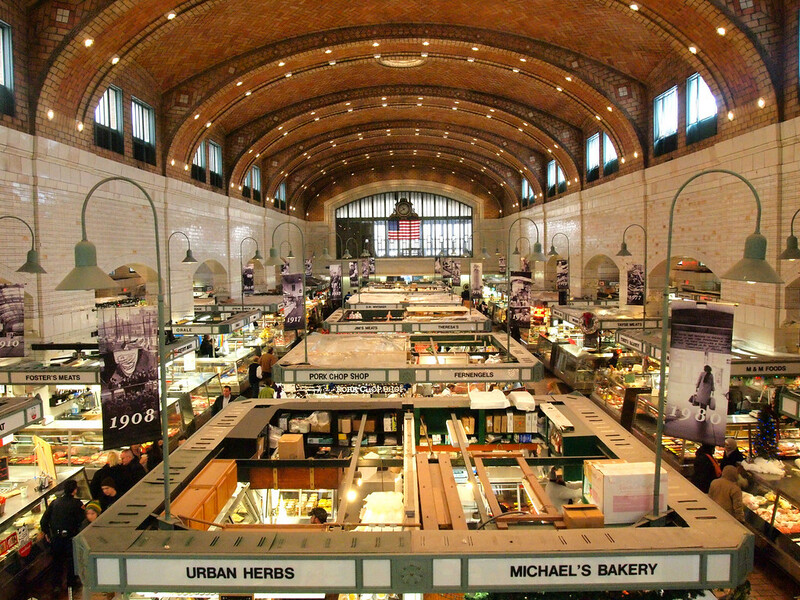 ), you'll find the West Side Market, Cleveland's oldest indoor-outdoor market. There's been a market here for more than 100 years, and some of the vendors inside have been manning their stands for generations. You can find everything from freshly-butchered meat to cheese to falafel to bubble tea at the West Side Market – and it's all located inside a super-photogenic brick building on W. 25th Street. While local Clevelanders often shop here like they would at any regular grocery store, you can also purchase cooked food, pastries, and drinks. Or, go all-out and book yourself a food tour of West Side Market, where you can taste everything from olive oil to hummus to Michael Symon's favorite beef jerky. 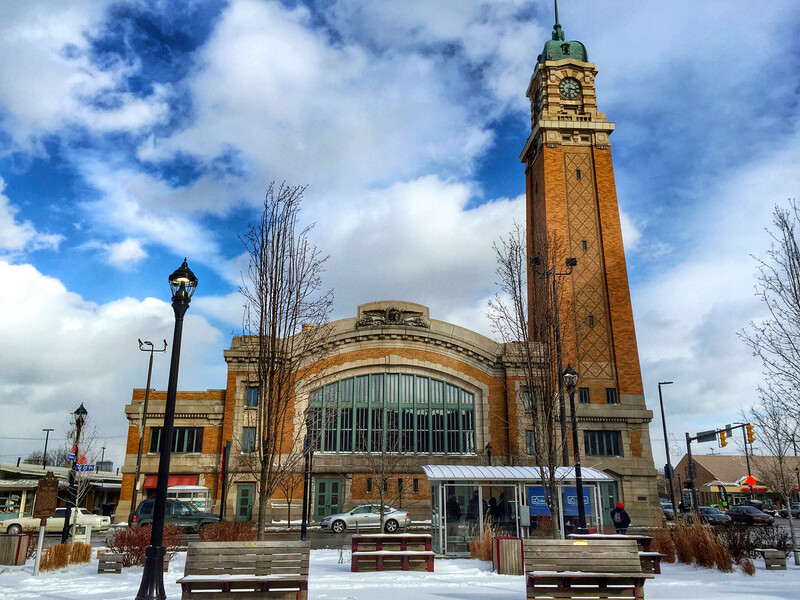 >> Book a West Side Market food tour here. If you're a Millennial who grew up in America, chances are you've seen the classic Christmas movie “A Christmas Story” – probably multiple times if you grew up with cable TV, where it plays for 24 hours straight on Christmas Eve each year! Well, while Ralphie Parker's house in the film was located in Indiana, the actual house that was used in the film is located in Cleveland, Ohio. The 19th-century Victorian home in Cleveland's Tremont neighborhood was only used for exterior shots in the film, but the house was purchased by a private developer in 2004 and transformed into Ralphie's house, inside and out. 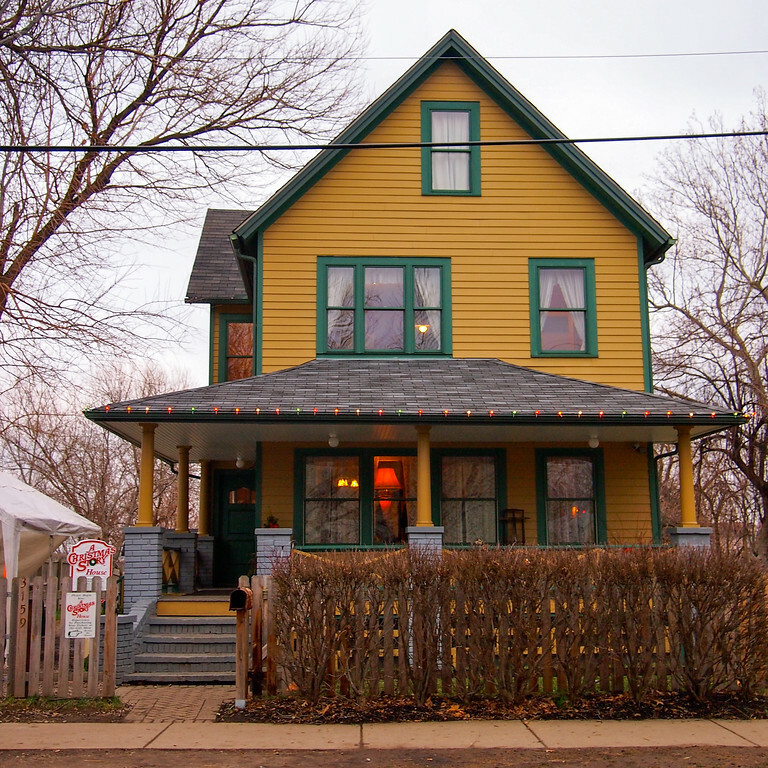 Today, you can visit and tour the “A Christmas Story” house year-round. The house is filled with fun details, from the bar of red Lifebuoy soap in the bathroom to the infamous leg lamp sitting in the front window. This may sound strange to some people, but I'm a huge fan of visiting cemeteries when I travel. They are often filled with history and beautiful sculptures, and can just be really peaceful places to spend a couple of hours. Cleveland has a cemetery like this on the city's east side called Lake View Cemetery. Dating back to 1869, the cemetery has some notable architectural elements, along with some fairly prominent people buried there. 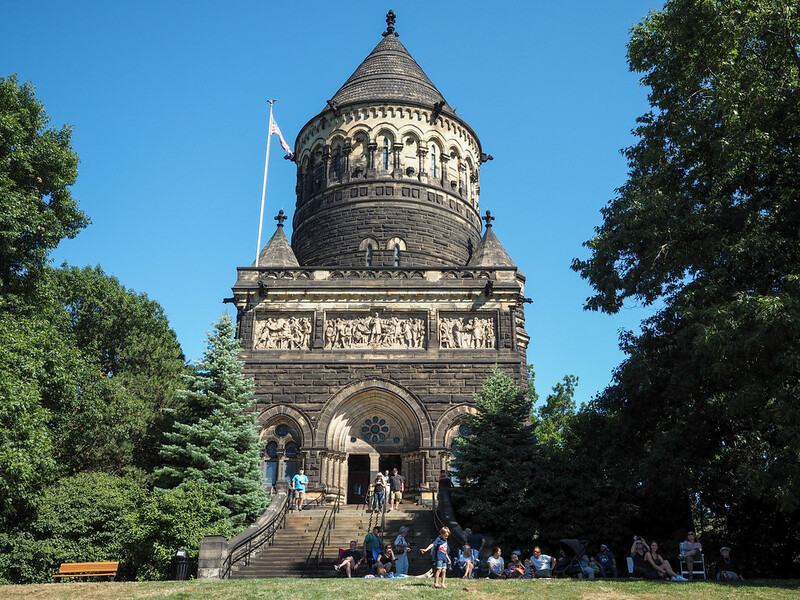 You can visit Wade Chapel with its Tiffany glass windows and elaborate mosaics; the James A. Garfield Memorial, where the 20th U.S. President is interred; the Haserot Angel, a famous sculpture that appears to “cry” black tears; and the graves of people like Alan Freed, Eliot Ness, and even John D. Rockefeller (yes, THAT John D. Rockefeller). Cleveland has a pretty great theater district, with touring Broadway shows and local productions being put on nearly every day of the week in 10 different performance spaces. 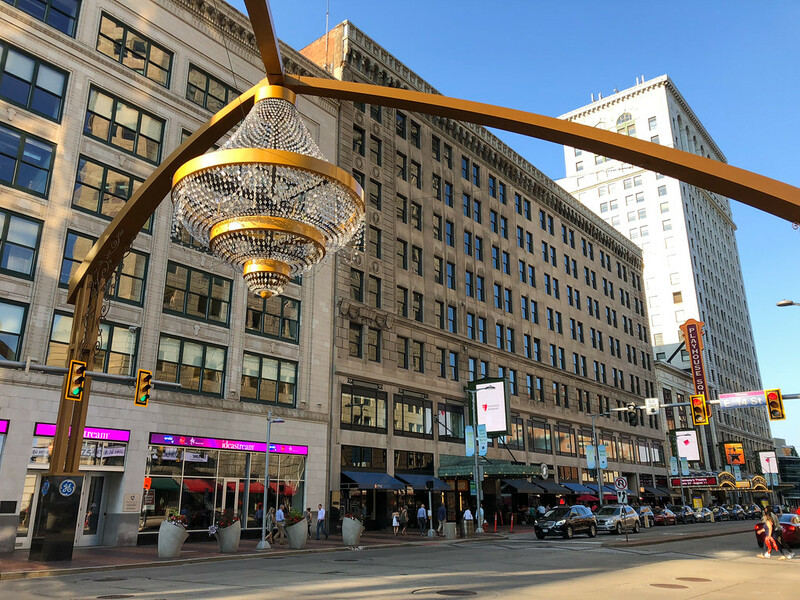 Playhouse Square is actually home to the largest performing arts center in America outside of Lincoln Center in New York City! 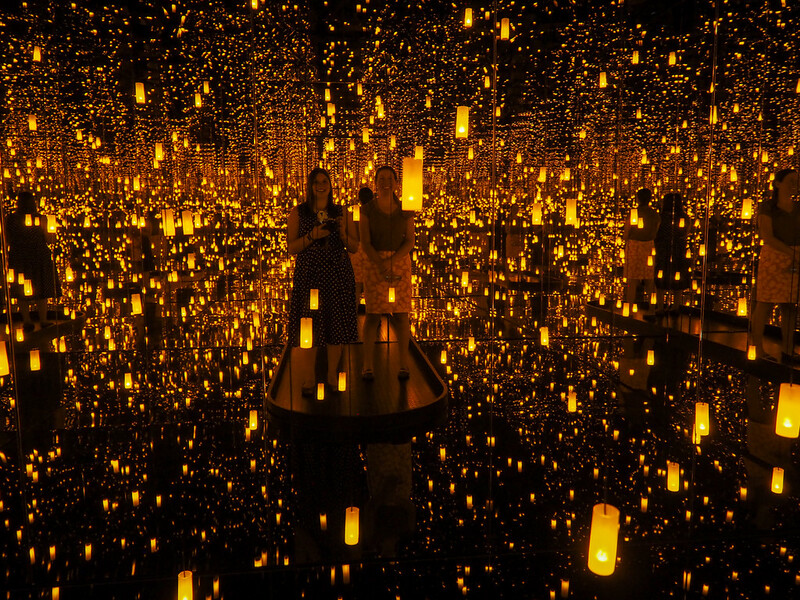 And these days it has a pretty unmissable attraction in its 20-foot-tall outdoor chandelier covered in 4,200 crystals. Come to see the chandelier, and then stay to see a show or eat at one of the area's great restaurants (one of my favorites is District!). Community gardens aren't generally a unique concept, but the Cleveland Cultural Gardens in the city's University Circle neighborhood are different. 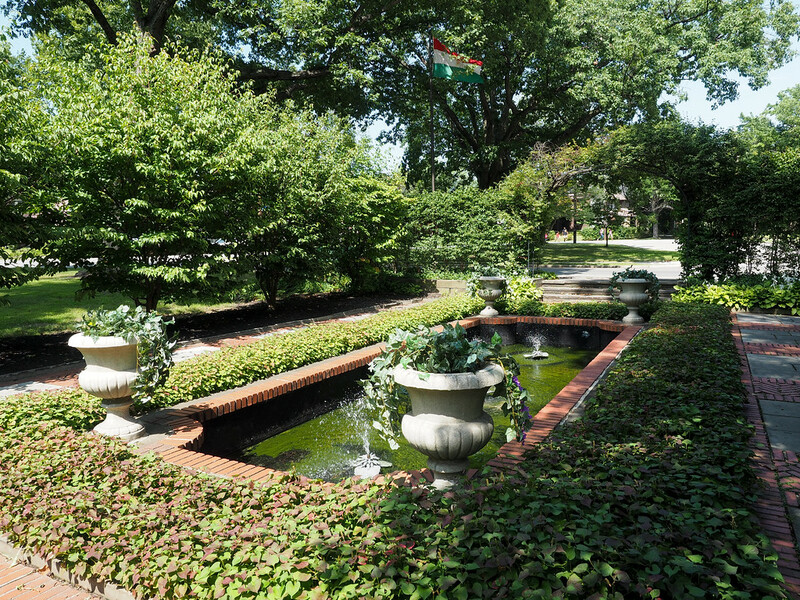 Located in Rockefeller Park along Martin Luther King Boulevard, the Cleveland Cultural Gardens are a collection of more than 30 small gardens that are designed and cared for by different cultural/ethnic groups in Cleveland. There's an Italian Garden, a Hungarian Garden, a Syrian Garden, and more! The Gardens were begun in 1916, and the unique concept showcases Cleveland's multiculturalism beautifully. Downtown Cleveland is home to some incredible architecture, but you often have to know where to look in order to find it. My favorite architectural marvel is the Cleveland Arcade, located between Euclid and Superior avenues. 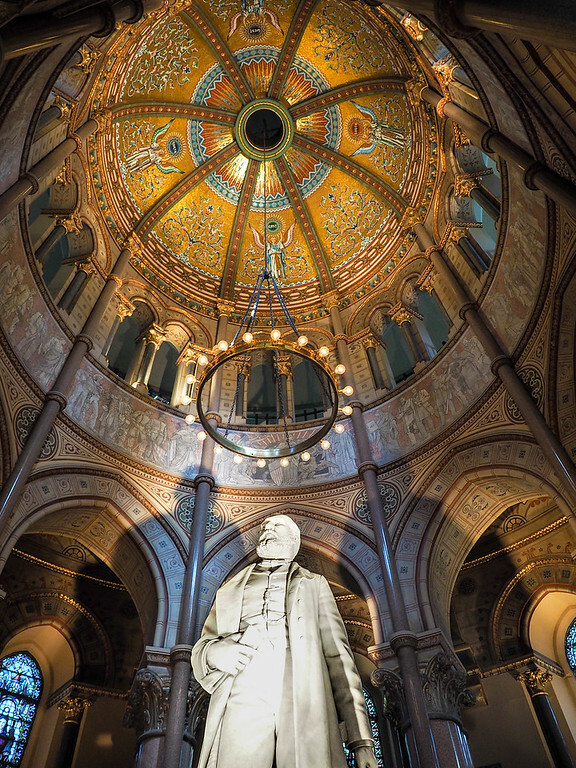 This Victorian-era structure was completed in 1890, at a cost of $867,000 (which was insane at the time!). It was built to resemble an Italian galleria, and is said to be one of the first indoor shopping malls in the United States. Today, the Arcade is often quiet with several empty storefronts, but its details are as opulent as ever. 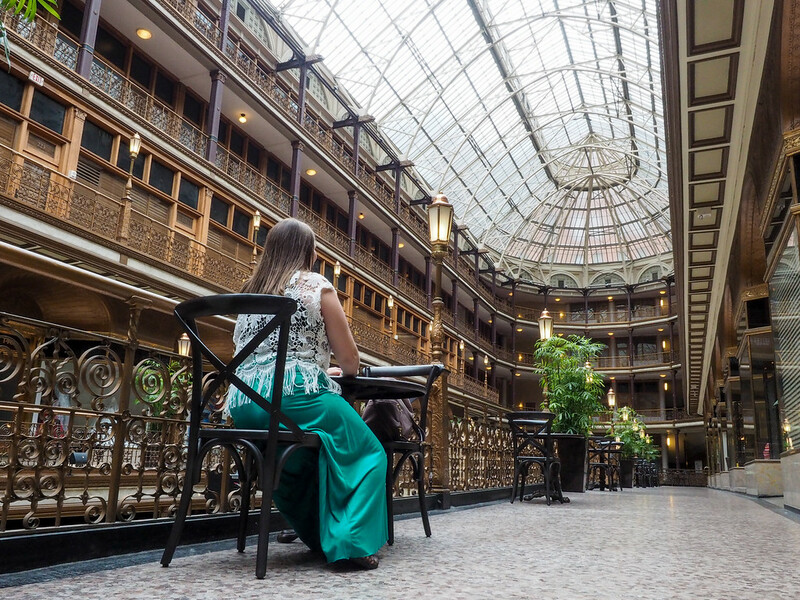 If you're looking for an excellent place for some Instagram photos, don't miss the Cleveland Arcade. When it comes to museums, Cleveland has some top-class ones, including the Cleveland Museum of Art (which is FREE to visit! ), the Cleveland Museum of Natural History, the Museum of Contemporary Art (MOCA) Cleveland, and the Great Lakes Science Center. And if you want to see some unique things at Cleveland's more “typical” museums, you can find things like Andy Warhol’s Marilyn x 100 at the Cleveland Museum of Art, the NASA Glenn Visitor Center at the Great Lakes Science Center, and the taxidermied body of Balto (the famous sled dog honored with his own Disney movie) at the Cleveland Museum of Natural History. Like in many cities across the U.S. that are currently going through revitalization efforts, several of Cleveland's neighborhoods have been spruced up using murals and street art. You can find some of the largest concentrations of murals in the Hingetown (part of Ohio City) and Gordon Square areas, with new works still going up all the time! 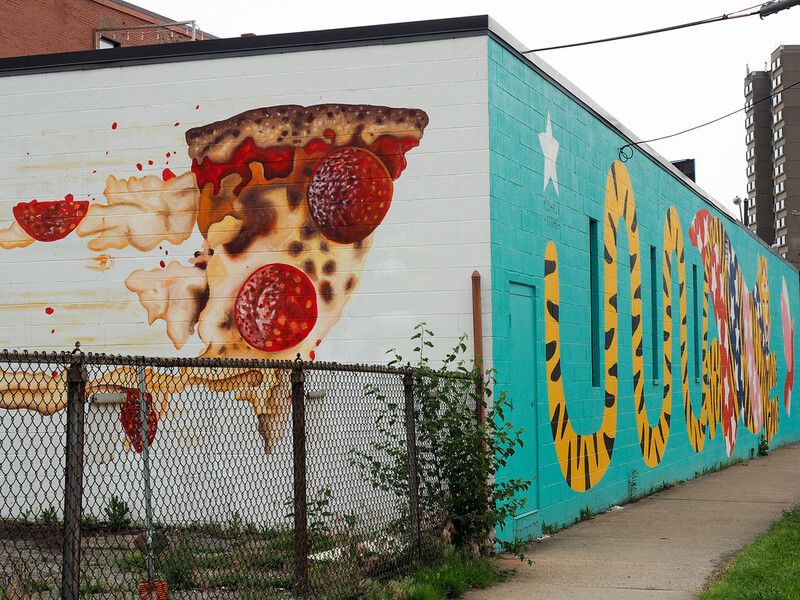 Some of my favorite Cleveland murals include the Pizza Mural in Hingetown, a new mural of a falling couple in Gordon Square, and the Cleveland postcard mural in Ohio City. Street art is always a unique window into any city, so be sure to keep your eye out for it in Cleveland. Lastly, I have to include a Cleveland institution on this list: Happy Dog. When you walk into its Detroit Avenue location, you feel a bit like you've entered a time warp; the place doesn't look much different than it did when it was the local “corner bar” back in the '40s and '50s. Happy Dog isn't actually a dive bar, though – it only opened in 2008. But its owners went out of their way to preserve that dive bar vibe. Happy Dog is known for its live music (and other live performances, from comedy to academic talks), huge beer selection, and of course hot dogs. 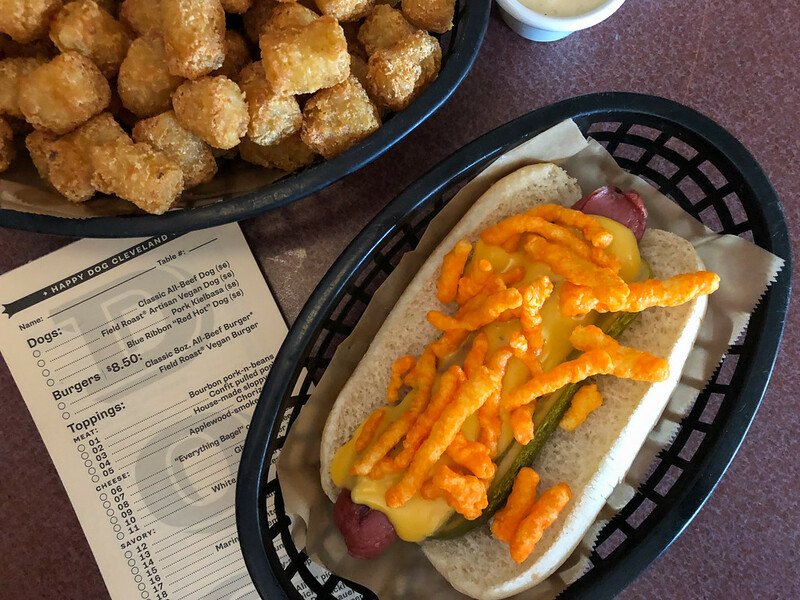 Hot dogs and tater tots are pretty much the only food served here, but you can choose from dozens of toppings for those hot dogs. Throw anything on top from Cheetos to peanut butter to Froot Loops. This is a place that locals love to hang out at just as much as visitors. Glidden House – A 100+-year-old mansion in University Circle that's now a boutique hotel. Clifford House – A cozy B&B in Cleveland's Ohio City neighborhood, located in a house from 1868! Tudor Arms Hotel – This isn't your average DoubleTree hotel; it's located in a stunning historic building dating from 1933. Kimpton Schofield Hotel – A downtown boutique hotel. Which of these things would you most like to see or do in Cleveland? The Happy Dog combo is high on my list Amanda. Along with a Rock and Roll visit. I’ll be honest: Cleveland has never been on my must-visit list. But you’re making it look really cool! The West Side Market and those murals look amazing – two of my favourite things to discover in a new city are markets and street art. I’ll sell you on Cleveland yet! 😉 It has a lot of cool neighborhoods – and also LOTS of good food! I don’t think you’re strange for liking to visit cemeteries – I enjoy it, too! I had no idea the Christmas Story house had been revamped. One of my favorites during the holidays! And it’s super fun to visit around the holidays, too! Yes! I also really enjoy visiting cemeteries! I don’t think it makes us weird at all 😉 That hotdog looks delicious by the way! There are so many amazing looking foods I’d like to try in the US! I don’t visit your country enough! The US definitely comes up with some interesting food trends – and Cleveland is definitely turning into a food-lover’s city, too! Food and music..we do it best! Look up the local and national acts playing clubs like the Grog Shop, the Beachland Ballroom, Happy Dog, Now That’s Class, the Foundry, the Five O’Clock and the Agora. Our city is doing it right! That’s right, food and music! Cleveland has a lot more going on than a lot of people realize! I am totally bookmarking this page! So strange. I was thinking about Cleveland the other day as being one of the only major cities in the US that I have not visited. I also came across your site while doing the Nomadic Matt Travel Blogging Business Course. I can’t wait to visit now and use this as a resource. It’s clearly fate! 🙂 Cleveland is awesome and you should definitely check it out sometime! I like Cleveland so much that I started a whole ‘nother blog about it!